An astrolabe is an astronomical tool, the rudiments of which were first developed by the Greeks in the 2nd century BC, in order to track the position of the stars and planets. With a stereographic projection, one could calculate the current date and time, as well as the time of celestial events such as the next sunrise. 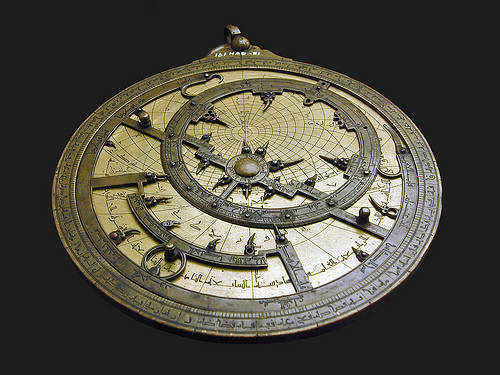 Astrolabes as mechanical devices were fully developed by the Islamic civilization in the 8th century, and diffused out from there into Europe and Asia. Astrolabes became important to travelers on the Silk Road when they became navigation tools, including a component that could report what latitude the traveler was on. Such devices are often called mariner's astrolabes. Thus, the Silk Road's network of trails through the vast regions of Asia could be traced with their help.